The GTCR webcam is currently experiencing technical difficulties. AAC staff are aware of the problem and working on fixing the issue. Thank you for your patience. This webcam is located at the American Alpine Club Grand Teton Climbers' Ranch at the base of the Grand Teton. The image updates regularly so you can always know what the conditions are like in the mountains. Located just south of Jenny Lake and four miles north of the Park Headquarters in Moose, WY. The Climbers' Ranch offers the most affordable and accessible lodging for climbers visiting the Grand Teton National Park. Learn more. 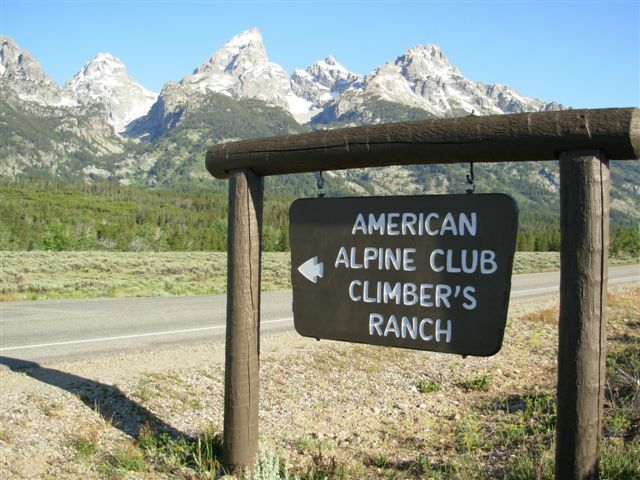 AAC member's receive discounts for lodging at the Climbers' Ranch, gear and guide discounts, $12,500 in rescue benefits and more . This webcam and the Climbers' Ranch are made possible with your support.